I'm not kidding about preparing to Exit the Matrix. then you'll probably like this also. But maybe not. Consider TreeIncarnation as having laid the theoretical groundwork. ideas to the world you find yourself living in -right now. ways an intellectual exercise. Lots of people have theories. This is way beyond theory. It means practical freedom from the Matrix. and bullets, that movie never delivered a real answer. It articulated the problem, but not the solution. work in this area to date. I didn't think the time was yet right, because it is rather mindblowing. pretty well loosened up over the last decade. Now the time is right. You and BFN are brilliant! I would be lost without you and the family of BFN'ers here. feelin' it, this is exactly what I need. Oh how we've grown here on BFN and all over the internet in general, all over the world. Three cheers for getting unstuck from the 'Matrix'. should we now refer to you as Thomas Anderson, Neo, Morpheus or what? BTW have you read Simulacra and Simulation? Simulacra and Simulation is most known for its discussion of images, signs, and how they relate to contempraneity. Baudrillard claims that our current society has replaced all reality and meaning with symbols and signs, and that human experience is of a simulation of reality. Moreover, these simulacra are not merely mediations of reality, nor even deceptive mediations of reality; they are not based in a reality nor do they hide a reality, they simply hide that anything like reality is irrelevant to our current understanding of our lives. The simulacra that Baudrillard refers to are the significations and symbolism of culture and media that construct perceived reality, the acquired understanding by which our lives and shared existence is rendered legible; Baudrillard believed that society has become so saturated with these simulacra and our lives so saturated with the constructs of society that all meaning was being rendered meaningless by being infinitely mutable. Baudrillard called this phenomenon the "precession of simulacra". The first stage is a faithful image/copy, where we believe, and it may even be correct that, a sign is a "reflection of a profound reality" (pg 6), this is a good appearance, in what Baudrillard called "the sacramental order". The second stage is perversion of reality, this is where we believe the sign to be an unfaithful copy, which "masks and denatures" reality as an "evil appearance-it is of the order of maleficence". Here, signs and images do not faithfully show us reality, but can hint at the existence of something real which the sign itself is incapable of encapsulating. The third stage masks the absence of a profound reality, where the simulacrum pretends to be a faithful copy, but it is a copy with no original. Signs and images claim to represent something real, but no representation is taking place and arbitrary images are merely suggested as things which they have no relationship to. Baudrillard calls this the "order of sorcery". The fourth stage is pure simulation, in which the simulacrum has no relationship to any reality whatsoever. Here, signs merely reflect other signs and any claim to reality on the part of images or signs is only of the order of other such claims. First order, associated with the premodern period, where the image is clearly an artificial placemarker for the real item. The uniqueness of objects and situations marks them as irreproducibly real and signification obviously gropes towards this reality. Second order, associated with the modernity of the industrial Revolution, where distinctions between image and reality break down due to the proliferation of mass-reproducible copies of items, turning them into commodities. The commodity's ability to imitate reality threatens to replace the original version, especially when the individual person is only concerned with consuming for some utility a functional facsimile. Third order, associated with the postmodernity, where the simulacrum precedes the original and the distinction between reality and representation vanishes. There is only the simulacrum, and originality becomes a totally meaningless concept. Contemporary media including television, film, print and the Internet, which are responsible for blurring the line between goods that are needed and goods for which a need is created by commercial images. Exchange value, in which the value of goods is based on money rather than usefulness. Multinational capitalism, which separates produced goods from the plants, minerals and other original materials and the processes used to create them. Urbanization, which separates humans from the natural world. Language and ideology, in which language is used to obscure rather than reveal reality when used by dominant, politically powerful groups. A specific analogy that Baudrillard uses is a fable derived from On Exactitude in Science by Jorge Luis Borges. In it, a great Empire created a map that was so detailed it was as large as the Empire itself. The actual map grew and decayed as the Empire itself conquered or lost territory. When the Empire crumbled, all that was left was the map. In Baudrillard's rendition, it is the map that people live in, the simulation of reality, and it is reality that is crumbling away from disuse. The transition from signs which dissimulate something to signs which dissimulate that there is nothing, marks the decisive turning point. The first implies a theology of truth and secrecy (to which the notion of ideology still belongs). The second inaugurates an age of simulacra and simulation, in which there is no longer any God to recognize his own, nor any last judgment to separate truth from false, the real from its artificial resurrection, since everything is already dead and risen in advance. It is important to note that when Baudrillard refers to the "precession of simulacra" in Simulacra and Simulation, he is referring to the way simulacra have come to precede the real in the sense mentioned above, rather than to any succession of historical phases of the image. Referring to "On Exactitude in Science", he argued that just as for contemporary society the simulated copy had superseded the original object, so, too, the map had come to precede the geographic territory (c.f. Map–territory relation), e.g. the first Gulf War (see below): the image of war preceded real war. Henceforth, it is the map that precedes the territory - precession of simulacra - it is the map that engenders the territory and if we were to revive the fable today, it would be the territory whose shreds are slowly rotting across the map. Le Nouvel Observateur – Your reflections on the real and the virtual are one of the references advanced by The Matrix’s directors. The first episode mentionned you explicitely and one could even notice the cover of Simulacrum and simulation, released in 1981. That surprise you? Jean Baudrillard – There is a misunderstanding of course, that is the reason why I previously hesitated to talk about The Matrix. The Wachowski staff did contact me after the first episode to involve me in the following ones, but that really was not conceivable! (Laugh). What we have here is essentially the same misunderstanding as with the simulationist artists in New York in the 80s. These people take the hypothesis of the virtual as a fact and carry it over to visible fantasms. But the primary characteristic of this universe lies precisely in the inability to use categories of the real to speak about it . J. B. – Yes, but there had already been other movies dealing with the growing blur between the real and the virtual: The Truman Show, Minority Report, even Mulholland Drive, David Lynch’s masterpiece. The Matrix’s main point is as a paroxystic synthesis of all of that. Sadly, the mechanism is roughly done and don’t arouse any trouble. Either characters are in the Matrix, that is in the digitalisation of everything. Or they are radically out of it, as it happens at Zion, the city of the rebels. Actually, the most interesting thing would be to show what does happen at the joining of these two worlds. Anyway, the real nuisance in this movie is that the brand-new problem of the simulation is mistaken with the very classic problem of the illusion, already mentionned by Plato. Here lies the mistake. The world as a complete illusion is the problem that faced all great cultures and they solved it thanks to art and symbolization. What we did invent in order to put up with this pain is a simulated real, a virtual universe cleansed of everything dangerous or negative and wich now override the real, to wich it is the final solution. Now, The Matrix is totally that! Everything that is related to dream, utopia, phantasm is present there, “realized”, a complete transparency. The Matrix is like a movie about the Matrix that could have produced the Matrix. J. B. – What really is striking in The Matrix 2 is there is not the tiniest irony to help the spectator taking this monumental special effect in the rear. Not even one sequence with this “punctum”, as Barthès says, this striking je-ne-sais-quoi to put one in front of something real. By the way, this makes the movie an instructive symptom as well as a fetish for a world ruled by the screen, where it exists no distinction between the real and the imagination world anymore. The Matrix is in many respects an extravagant thing, both naïve and pervert, with no above and no beyond. The pseudo-Freud speaking at the end of the movie said it: sometime in the past, we have had to re-program the Matrix in order to integrate some anomalies in the equation. And you, the opponents, are part of it. So here we are, in my opinion, in a complete virtual circuit with no outdoor. I once again disagree! (Laughs) The Matrix implies the present situation is the one of an all-powerful superpower and so effectively echoes its propagation. Ultimately, the spread of this takeover is indeed a very part of the movie. As McLuhan said:"message is medium". The message of The Matrix is its very propagation, by relentlessly contaminating everything. J. B. – That is indeed wich makes our times quite difficult to stand. This system products a trompe-l’œil negation, wich in turn is becoming a part of the entertainment industry, the same way obsolescence is a part of the industry as a whole. Moreover, it is the most efficient way to forbid any true alternative. No more there is an external omega point for apprehending this world, no more any antagonistic function, only a fascinated adherence. Nevertheless, the more a system is coming close to perfection, the more it is coming close to destruction. View it as an objective irony; nothing is never settled. September 11 was a part of it, of course. Terrorism is not an alternate power, it is only the metaphor of this almost sucidal turn-around of the occidental power against itself. This is what I said at that time, but it was not accepted. No reason to be nihilistic or pessimistic anyway. 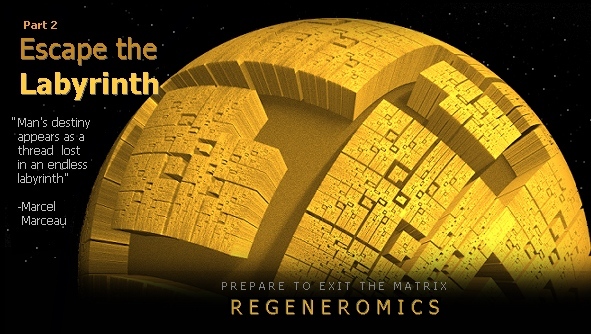 The system, the virtual, the Matrix, everything may go back to the scrap heap of History. Reversibility, challenge, seduction are indestructibles. Definitely time to break the pattern, we've ridden this one into the ground. Got to take the plunge eventually, no sense waiting around on the shore. 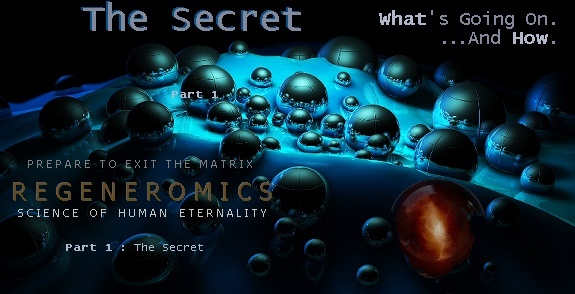 Our discovery of the great hidden secret of our eternal immoratlity is inevitable at this point. I think the pattern jus BROKE. The gentle now may jus be forever now. A karass is a spontaneously forming group, joined by unpredictable links, that actually gets stuff done— as Vonnegut describes it, "a team that do[es] God's Will without ever discovering what they are doing." A granfalloon, on the other hand, is a "false karass," a bureaucratic structure that looks like a team but is "meaningless in terms of the ways God gets things done." No doubt you've experienced these two types of networks in your own life, many times over. The karass is that group of friends from college who have helped one another's careers in a hundred subtle ways over the years; the granfalloon is the marketing department at your firm, where everyone has a meticulously defined place on the org chart but nothing ever gets done. When you find yourself in a karass, it's an intuitive, unplanned experience. Getting into a granfalloon, on the other hand, usually involves showing two forms of ID. "Examples of granfalloons are "the Communist party, the Daughters of the American Revolution, the General Electric Company, the International Order of Odd Fellows -- and any nation, anytime, anywhere." I think the pattern jus BROKE. Can u feel it? Yep. Broke in the last few days. Timing looks pefect on this. eternal immoratlity is inevitable at this point. First audio late Wed. night. and plan on downloading the audio to listen on the ride.